Mastering work-life integration begins with the choices you make. 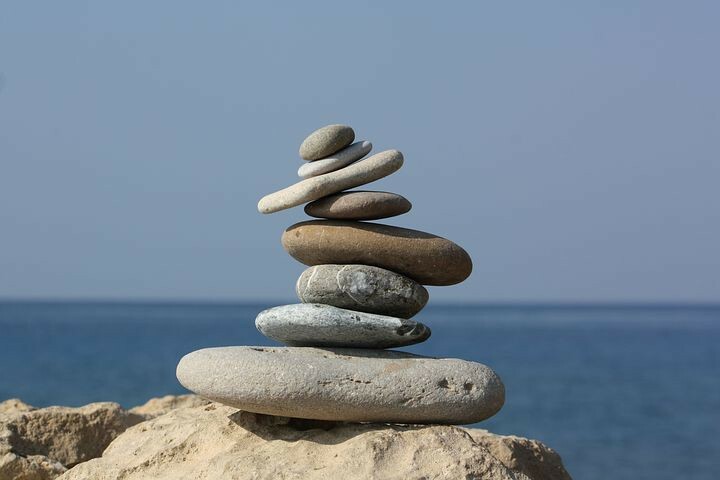 Mastering work-life balance begins with the choices you make. It seems like work-life balance has become a buzzword over the last decade or two. Yet, there doesn’t seem to be a clear-cut process for people to complete in order to get a better balance. On any given workday, we spend more time with our coworkers then we normally do with our family (the hours we’re awake). With that said, it’s nearly impossible to have a balanced work-life during the week… or is it? If you want “balance” why are you trying to do multiple things at once? Stop that right now! If you are somebody who claims to be a “great multi-tasker,” I would simply say, that if you’re a great multi-tasker, imagine how great you would be if you focused on one thing at a time. We need to stop trying to be everything for everybody, and be great at one thing at a time. Multi-tasking realistically limits our production and reduces our capabilities. Plenty of people desire a healthy work-life balance, yet as soon as they get home, they veg on their couch and expect their families to wait on them. Get off your tail, and give your family your best. If you are giving them your “leftovers” at the end of each day, eventually, that’s exactly what you’ll get in return. Instead, do whatever you need to do to “recharge your battery,” then give them your absolute best; they deserve it, and so do you! Note: if you don’t have a family, this applies to friends, significant others, neighbors, etc. I believe it all comes down to this one “tip.” This tip is similar to “stop multi-tasking,” however, it puts more emphasis on the individual event or task. Whatever you are doing, or whoever you are with, be absolutely present… give it / them your complete attention; be fully present! If you are working on a project at work, give it your all; if you are at home with your family, give them all of your focus; if you are out to dinner, put away the cell phones, and give the people you are with your utmost attention; if you are volunteering in your community, serve them with everything you have, and don’t be distracted! All too often, our lives are out of balance because we get preoccupied with so many distractions; we lose focus of what’s right in front of us. If you really want a better balance in your life, start being absolutely, totally present wherever you are. You’ll be amazed at how your life will instantly change! The bottom line is that most of us want to have a balanced life; we want to do a great job at work and we want to have a quality lifestyle outside of work. However, all too often we choose to do too many things at once. We think if we can blend our areas of life together, we can be more productive, and have a better balance. Well, most of us can’t! The tips above offer you an opportunity to master each part of your life by giving each area your all. Stop trying to complete everything at once; focus on one thing at a time, and be present. Whatever is right in front of you, give it your all, and let me know how it works out.